This is a sponsored conversation written by me on behalf of Save-A-Lot. The opinions and text are all mine. I have created three easy overnight breakfast recipes to simplify your holidays, because even for the most experienced mom, the holidays can be complicated. These are three recipes that are tried and true in our house and made even easier by tweaking them to withstand the night in the refrigerator or even a couple of weeks in the freezer. With Save-A-Lot I was able to create each of these hearty and delicious recipes for my family of 5 for around $5 each! Yes, you read that right, around $5 each. Now, the prices will vary slightly from location to location, but you will definitely be able to save big at your local Save-A-Lot as well. Save-A-Lot has everything you need to put on the simplest or most elaborate holiday dinner (or breakfast). I absolutely love the Lake Charles, LA location. It is so clean and the produce is always fresh! Sign up here for the Save-A-Lot Smart Shopper Club. You’ll receive the latest specials delivered weekly to your inbox, tasty and affordable recipes, and helpful kitchen hacks and entertainment tips! Holidays can be made easy for a stress less season; even for you! The Holiday Season is the time of year that brings us together with those that matter most in our lives. We attend and host holiday meals to visit friends and family, but we also love to indulge in our favorite holiday dishes. I am here to make things just a little less stressful on you and your family. Give these recipes a try and you’ll be happy to see that you can sleep a little longer on those busy mornings and have time to just sit and enjoy your family. Find the closest store near you here! Spray a 9 x 11 (ish) baking pan with non-stick cooking spray. Cut biscuits into fourths and place in the baking pan. Sprinkle ham and potatoes on top of biscuits. Place slices of cheese on top of ham and potatoes and sprinkle with salt and pepper to taste. Wisk the eggs, cream and Worcestershire sauce together in a small bowl and pour over the top of the cheese. 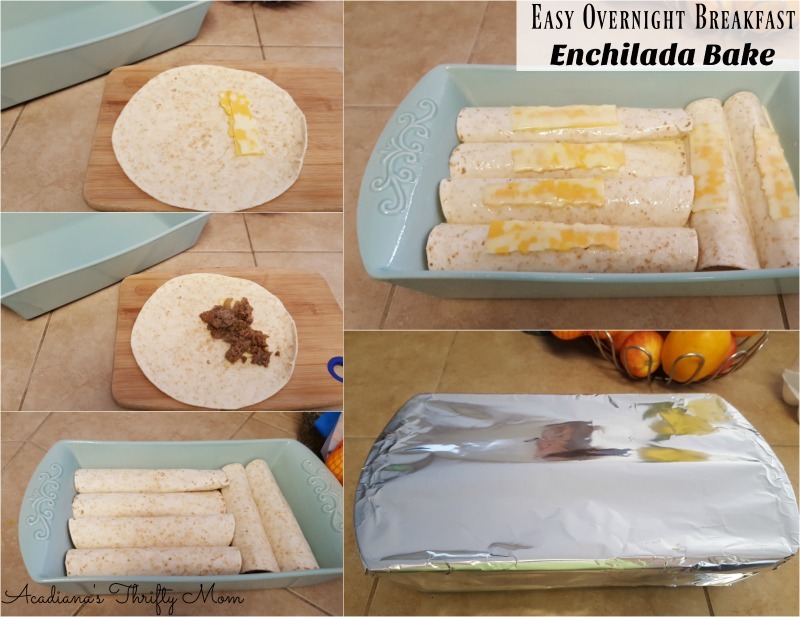 Cover with aluminum foil and place in the refrigerator overnight. When you are getting ready to bake the casserole, remove it from the refrigerator while you are preheating the oven to 350 degrees. Once the oven is preheated, carefully place the casserole in the oven (still covered) and bake for 45 minutes. Eggs need to be cooked to about 150 degrees Fahrenheit. Carefully remove from the oven and sprinkle with shredded cheddar cheese and green onions. Brown your breakfast sausage in a skillet and mix in green chiles. Place 1/2 slice of cheese on a flour tortilla and top with the breakfast sausage mixture and roll and place seam-side down in baking dish. Continue this until each tortilla is rolled and placed in the dish. Wisk the eggs and cream together and add a pinch of salt and pepper. Pour the egg mixture over rolled tortillas, cover with foil and place in refrigerator overnight. When you’re ready to bake the enchiladas, remove them from the refrigerator and place on the counter while you preheat your oven to 350 degrees Fahrenheit. Once the oven is preheated, carefully place enchiladas in the oven and bake (still covered) for 45 minutes. Carefully remove the enchiladas from the oven and check that the eggs are “set”. Eggs need to be cooked to about 150 degrees Fahrenheit. Sprinkle with shredded cheese and chopped green onions and serve. Spray an (approximately) 11 x 9 inch baking pan with non-stick cooking spray. Open the cans of cinnamon rolls and cut them into fourths. Place the cut cinnamon rolls into the bottom of the pan. Wisk the eggs until well blended, then add cream (or egg nog) and apple pie spice. Pour the egg mixture over the cinnamon rolls, then sprinkle the top evenly with sugar. Cover with foil and allow to sit overnight (or you can freeze). When you’re ready to bake, take the pan out of the refrigerator and preheat the oven to 350 degrees. Once the oven is preheated, carefully place the pan into the oven (still covered) for 45 minutes. Remove the pan from the oven and check the center to make sure it is set (firm). Eggs need to be cooked to about 150 degrees Fahrenheit. Allow to sit, uncovered for about 10 minutes, then drizzle with icing and serve. At Save-A-Lot, we keep our customer’s budget in mind by offering up to 40% lower prices than conventional grocery stores. We’re proud to offer fresh cut meat in-store every day, quality fresh produce, and our exclusive brands at everyday low prices. Great Food: We procure, distribute and market a carefully selected assortment of high quality food and household needs, emphasizing our own exclusive brands. Great Prices: Our highly efficient supply chain enables us to sell at prices well below other retailers, and our customers can use the money they save for other things that are important to them; necessities or fun times. Great People: We strive to provide a positive shopping experience in stores that are clean, well-stocked, fresh and staffed by friendly, helpful and respectful associates. For even greater convenience, sign up for the Save-A-Lot Smart Shopper Club. You’ll receive the latest specials delivered weekly to your inbox, tasty and affordable recipes, and helpful kitchen hacks and entertainment tips! I have two $25 Save-A-Lot gift cards to giveaway to two lucky readers! Simply leave a comment below of your favorite holiday memory and you will be entered to win 😀 This giveaway ends at midnight on December 11, 2016. No purchase is necessary to enter. Void where prohibited by law. The odds of winning are based on the number of entries received Open to US, 18+ only. Confirmed Winner(s) (by Random.org) will be contacted by email. Winner(s) have 24 hours to respond before a new winner is chosen. No purchase necessary. Void where prohibited by law. This event is in no way administered, sponsored, or endorsed by, or associated with, Facebook and/or Twitter, Google, Pinterest. This disclosure is done in accordance with the Federal Trade Commission 10 CFR, Part 255 Guides Concerning the Use of Endorsements and Testimonials in Advertising. Thanks for sharing this recipe. I like it very much and will try this one for sure. It seems to be healthy and yummy. Everything looks so good. This time of the year is perfect for a good breakfast bake and they look simple enough that I could do them. Thanks for sharing. These look really simple and absolutely delicious! My favorite Holiday memories…so many great ones to choose from…Would have to be the year I was 8. I woke up with everyone yelling “We got him, We got him, We caught Santa” I ran out of my bedroom just in time to hear a tear of cloth and my uncle almost falling backward back in the front door. I was so excited and sad all at the same time. I still, to this day, have that piece of cloth from “Santa’s” coat! Wow! Those look absolutely amazing. Talk about get me motivated to do some cooking. 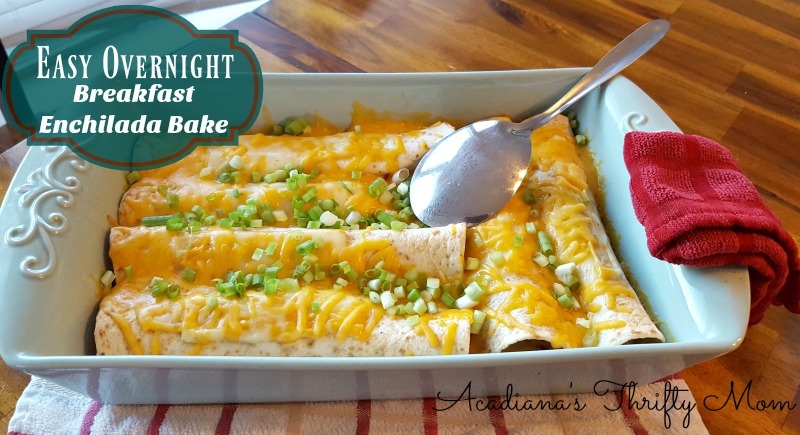 I love the enchilada bake and will definitely be trying that one first. Great job! Awesome recipes for breakfast! My kids will love these for sure! These are perfect for keeping them energized throughout the morning! YUM!!! These all look so good! 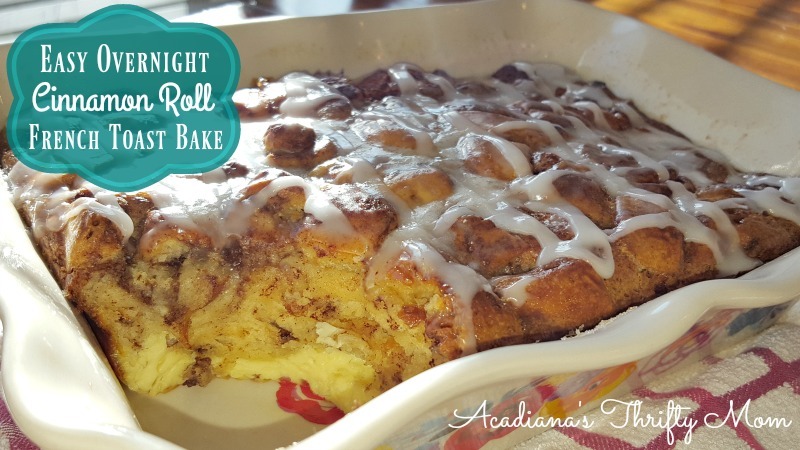 I have to make them all and let the kids decide, but I bet the cinnamon roll recipe will be the winner! Thanks for sharing. Everything looks so good! A perfect idea when nearing to holiday. My favorite is the cinnamon rolls. Looks so good. Yum! What a great collection of breakfast!! We love brunch on the weekends and the holiday season! That’s a great recipe. I’m happy to see a new idea for breakfast. That french toast looks amazing!! That is definitely something I would love to have in the morning. Sweets in the morning is my favourite! Those all look like great options! Especially when you have guests visiting. 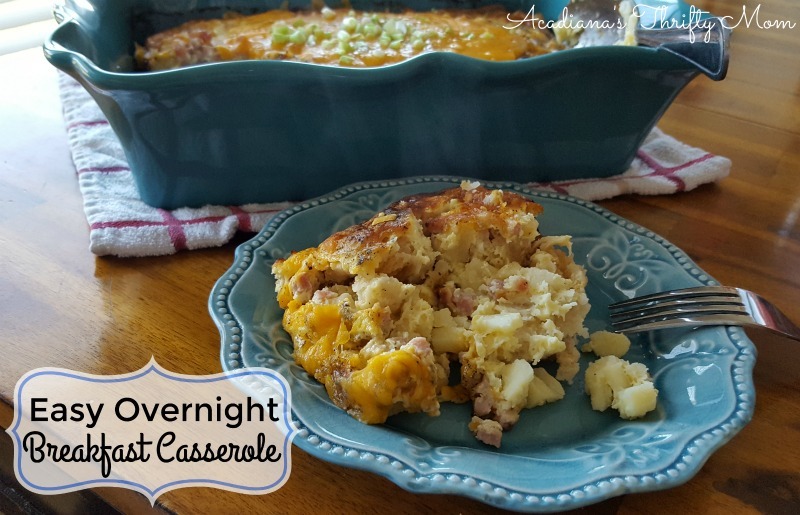 I currently already make an egg casserole but these other two…take my money! My favorite Christmas was when I was 9 yrs old I got a new bike. My daddy ran all over our yard holding the bike upright so I could learn to ride. What a precious memory. He was killed in a tragic accident a few yrs later. I shall never forget that special Christmas! These all look lovely! I can’t wait to try the breakfast enchiladas! What a great collection of Breakfast Recipes! Thanks so much for sharing your awesome recipe with us at Full Plate Thursday! Hope you are having a wonderful week and hope to see you soon! I love breakfast foods. These look yummy! 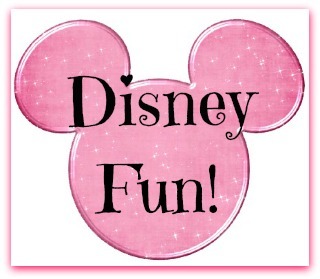 Thanks for linking up with us at Friday Favorites. I’m featuring you this week. Super Easy Stromboli Recipe Anyone Can Make!